This post is sponsored by TruMoo Milk. All views expressed are that of our own. One of our family’s favorite sweet treats happens to by cinnamon rolls or buns as some would call them. On the weekend we love to head to a local bakery and pick up a half dozen of their cinnamon rolls which are now available in pumpkin. That got me thinking, why don’t I try to make some cinnamon rolls from scratch? What a disaster that initially was! You see yeast, and me just do not work! I have zero patience to let yeast activate or bread rise. My buns were like doughy rocks that could have possibly broken a window should my son have thrown a bun at one. However, rather than wallow, I did what most people do and searched the internet for an easier way to make cinnamon rolls. 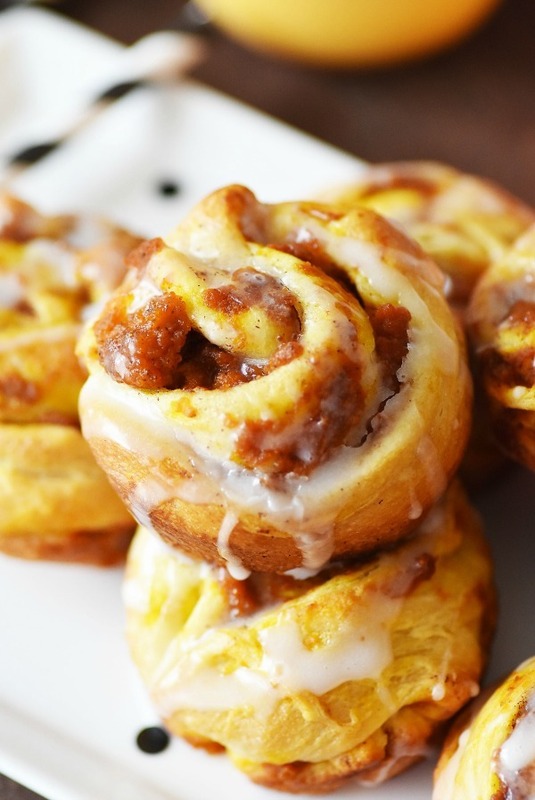 After some Pinteresting research, the consensus was that with proper technique, crescent roll dough could be morphed into fluffy and delicious cinnamon buns. 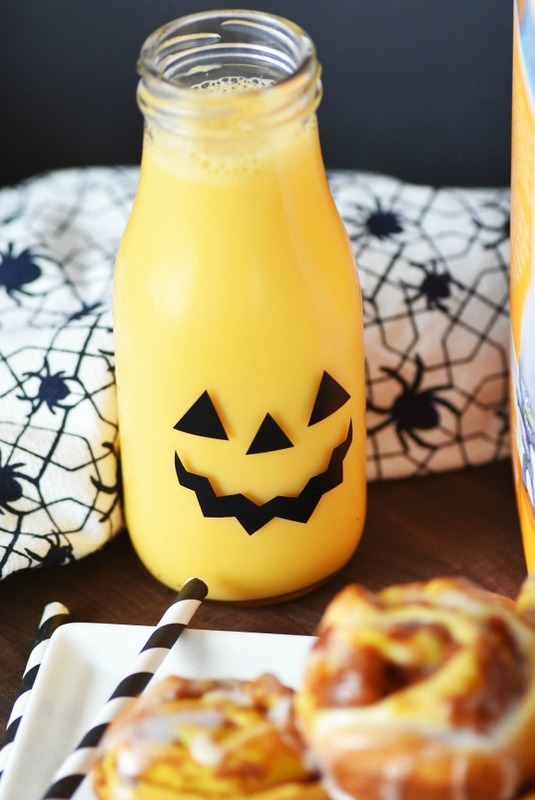 So I gathered up my supplies and decided that my family would really enjoy a weekend breakfast of edible Easy Pumpkin Cinnamon Rolls and TruMoo Orange Scream Milk which is a family tradition in our home. From now through October 31, 2016, Poppy and Branch, the colorful and spunky characters from DreamWorks Animation’s new comedy adventure, Trolls, will be making an appearance on specially marked bottles of limited-edition TruMoo Orange Scream milk and TruMoo Chocolate milk. On a clean cutting board, roll out the crescent rolls into one large rectangle by pinching together the pieces, and then smoothing over them. Mix ingredients until a thick, smooth glaze is formed. 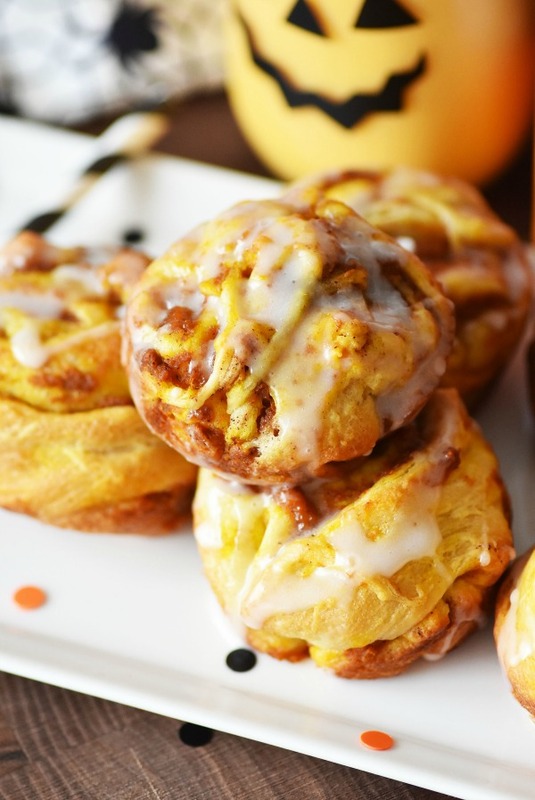 Drizzle over slightly cooled pumpkin cinnamon rolls and enjoy with some TruMoo Orange Scream Milk. 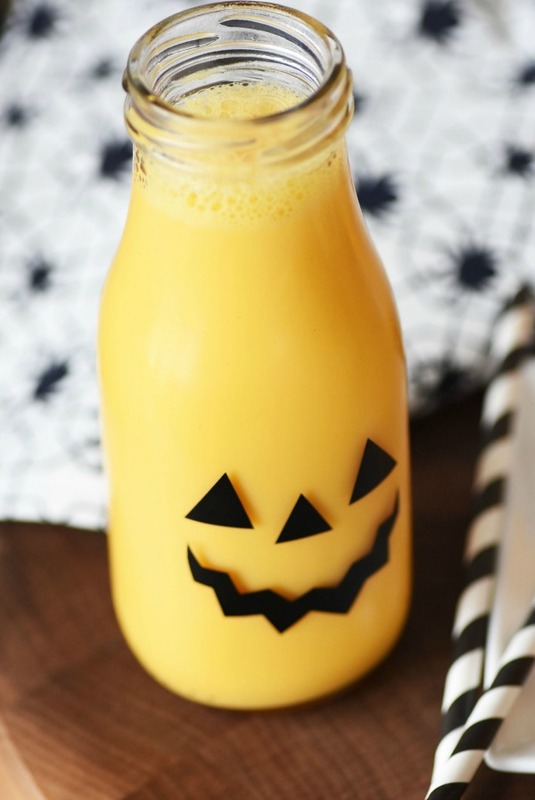 I love, love, LOVE pumpkin season! And I love cinnamon rolls! I think I’m about to squeal like a little girl! There is not one thing pumpkin that I do not like! 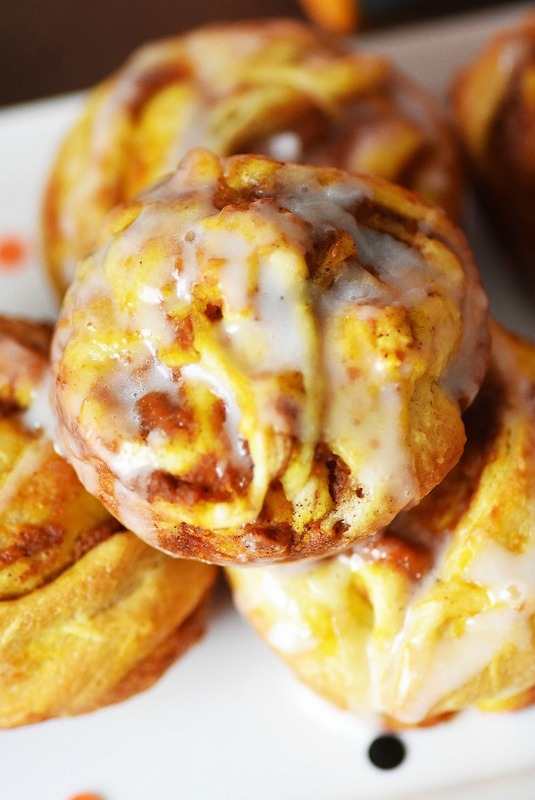 I never even thought about doing pumpkin cinnamon rolls but now I cannot wait to try them. These look delicious. I love fall for everything pumpkin. Can’t wait to give these a try. These looks so good! My husband and daughter love anything pumpkin flavored. I need to make these over the weekend. TruMoo Orange Scream Milk is so delicious. I got some for the kids to try this week and they love it. I will have to try this recipe on the weekend. I need to pick up some TruMoo Orange Scream Milk. I think my family is going to love these cinnamon rolls. My husband is in love with cinnamon rolls. These would be perfect for the fall season to try out! Clearly I need to get some trumoo orange scream milk! We NEED to make this recipe this weekend it looks so mouth watering my delish and well PUMPKIN! I always look forward to that milk when it hits stores. I’m excited to see that it’s time to look for it again! Oooh! 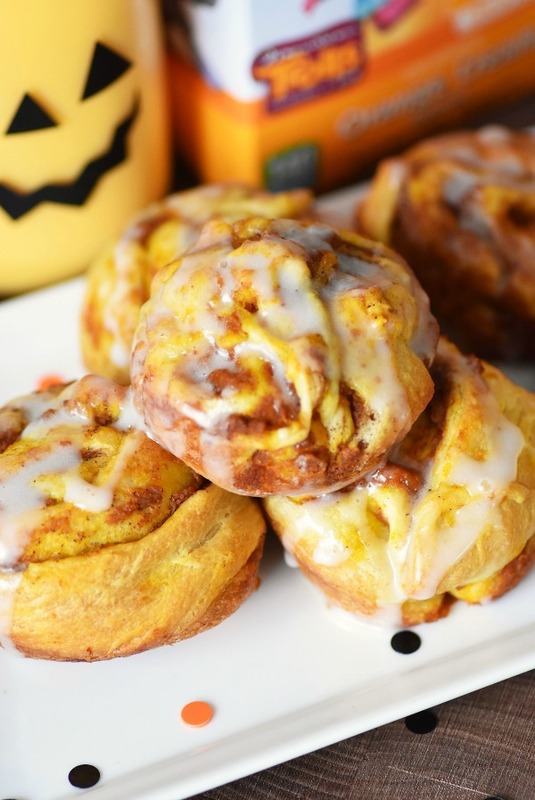 Pumpkin cinnamon rolls! I had not considered such a treat before. I would definitely love to try these.